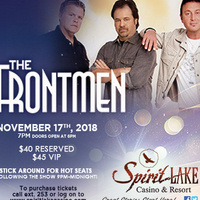 The Frontmen of Country is a unique concert because they are all lead singers. Lead singer of Lonestar, Restless Heart, and Little Texas....it will be an unforgettable show! See the flyer below for more exciting information about them. See you at the show....Great Stories...Start Here!